B’Town divas have always been conscious of their airport looks. 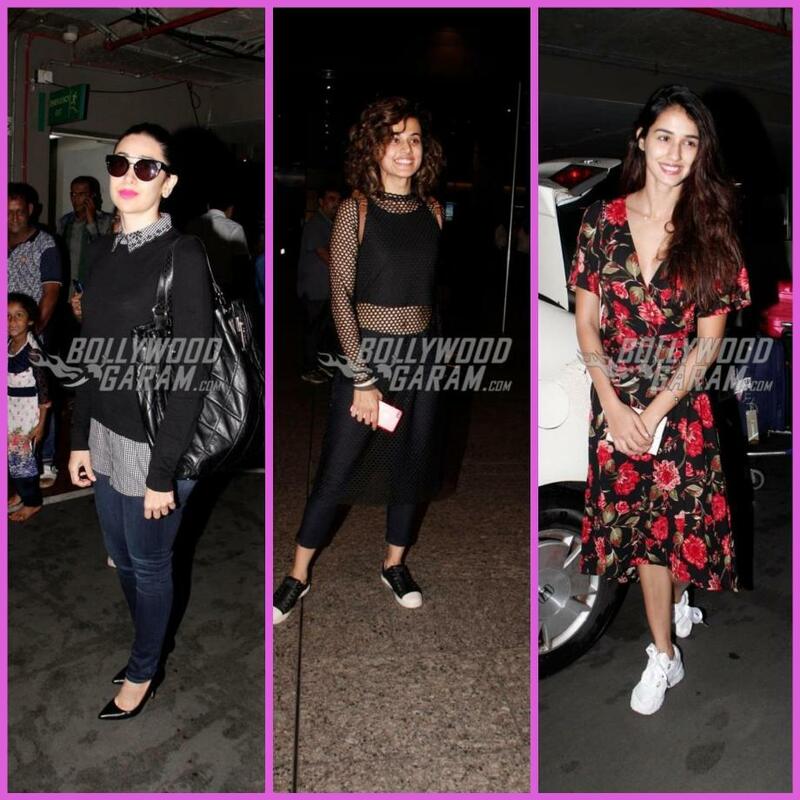 Actresses Karisma Kapoor, Taapsee Pannu and Disha Patani were photographed at their fashionable best at the airport in Mumbai on July 17, 2017. Karisma, as always turned up like a suave in a blue pair of denims with a shirt and a black pullover. Disha was all smiles for the cameras as she wore a red and black printed outfit with white sneakers. The one who caught attention was Taapsee, who had the brightest smile and looked fabulous in an all black outfit. The Pink actress looked great in a short hair look as she returned from the IIFA 2017 held in New York City. Taapsee also walked as the showstopper at the fashion event held at Times Square as a part of the IIFA. The actress is all set to be seen opposite Varun Dhawan in the upcoming film Judwaa 2. Disha too was a part of the fashion event held at New York City. Next articleKaabil to have a Hollywood remake?